Today we are going to cover the best modem for CenturyLink. CenturyLink is the third largest telecommunications company in the United States, and it offers VDSL, ADSL, or fiber connections across 38 states. To maximize the service, CenturyLink subscribers need to set up and use a reliable and efficient device. In this article, we will be taking a look at 4 CenturyLink supported modems to get the very best from this service. Despite rapid changes in the networking landscape, modems remaining integral to the home networking setup and can be the difference between a fast connection and bogged down network. 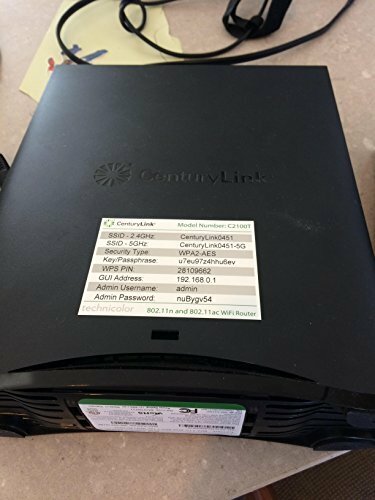 Centurylink, like many other ISP's (internet service providers), includes this device as part of the subscription package to save you the trouble of having to purchase one yourself. While there isn’t necessarily anything wrong with the packaged device, buying your own will give you the opportunity to choose a device that best suits your needs. Additionally, you’re able to save on the monthly rental fee that Centurylink charges for its modems. Although the charges may seem minimal compared to the cost of a new device, over time they can really add up. Buy your own, though, and you'll have paid off the cost of that device in rental fee savings in a year’s time. There are a great array of modems in the market today. However, before you go out and purchase one, you should first ensure that the device is compatible with Centurylink. Internet speed: Different modems will support different speeds. You should opt for a device that can support a speed equal to or above your subscription. Centurylink recommends modems that support IPv6 RD. Future proofing: Get a modem that is compatible with the present as well as the future upgrades. This will save you from having to purchase another modem in the event that the service provider comes up with a new plan and technology offering faster internet speeds. 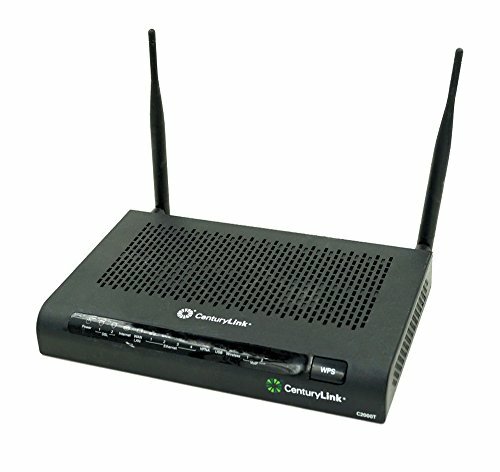 You can access a comprehensive list of all Centurylink approved modems from the manufacturer’s website. However, given the vast differences in the models available, you might find it challenging to pick the right device for your home network. Lucky for you, we spend adequate time going through the different Centurylink certified devices in the market to identify the best and most reliable product. The C1000A is one of the most robust routers available today. With its new, powerful wireless N radio, Gigabit Ethernet switch and dual-core 32-bit processor. The C1000A can simultaneously support a wide range of demanding multimedia applications, including IPTV, media sharing, and online gaming. Despite its generic and boxy look, this wireless gateway is loaded with plenty of useful features. It comes with a built-in DSL port eliminating the need for an inline DSL filter. It supports VDSL2 and is ADSL2/2+ backward compatible, meaning it will work with any DSL plan, regardless of which service your area offers. What we liked most about the device is its reliability. The 2-in-1 device combines a high-performance modem with a Wireless N router to create a reliable home network. The C1000A has a USB port for a network-attached storage (NAS) device, and four Ethernet ports for wired connections. It is capable of handling CenturyLink Internet speed up to 80Mbps on VDSL2. Although it’s not the cheapest, the C1000A boasts a decent wireless range, but if you live in a larger house, you will probably need to buy a wireless range extender. What’s more? Thanks to the Wi-Fi Protected Setup (WPS) button you can connect new devices to your network with just the push of a button. The Technicolor C2000T modem-router combo is another great alternative. The device features Wireless-N technology and DSL device for streaming video and gaming. The C2000T helps get the most out of your internet service by combining all of your DSL services into one device while allowing you to use your existing wiring. You can get up to 20Mbps on the ADSL2+, 80Mbps on the VDSL2 and 1GBps on GPON. This is enough for gaming, high definition streaming, and peer-to-peer networking. Moreover, the C2000T features 4 Gigabit Ethernet ports allowing you to connect multiple devices simultaneously. What’s more? Your data is kept safe thanks to an enhanced firewall and WEP encryption security options. You won’t have a hard time trying to use it since the setup process is extremely easy and it is well described in a simple quick start guide. The Technicolor C2000T is ideal for the budget conscious CenturyLink subscribers. The CenturyLink Prism TV Actiontec C2000A is the latest modem available from Actiontec for Centurylink subscribers. The 802.11ac modem router boasts speeds high enough to support simultaneous video streaming, fast downloads, and online gaming. The C2100T is based on the VDSL2 standards allowing it to offer fast access to the internet while maintaining stable connections. 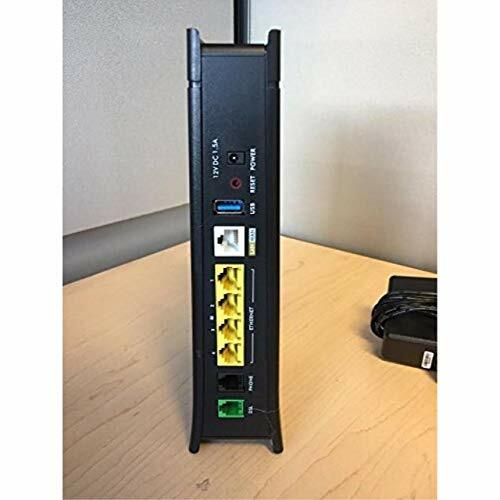 Additionally, the C2100T features four Gigabit Ethernet LAN ports and dedicated Gigabit Ethernet WAN port which also works as a fifth LAN port. Actiontec further equipped the modem-router with 2T x 2R antennas for improved speed and extended coverage. The Actiontec C2100T comes with advanced security features including dual Ethernet firewalls (NAT and SPI), which enable the identification and control of malicious content and applications. And, as part of its wireless security design, the C2100T supports WPA2/WPA/WEP and features a hardware WPS button allowing customers to enjoy easy setup using a simple button. can adapt to future upgrades. The ZyXEL C1100Z Wireless Gateway is a capable modem/router that offers both VDSL2 and ADSL2/2+ support for higher compatibility. The C1100Z has the output of your average N300 router. N-band wireless is nothing special, but it will provide adequate range and performance for the common internet uses including heavy multimedia use, such as simultaneously streaming video/audio content and online gaming. The device is equipped with Gigabit Ethernet LAN/WAN ports enabling connection to a single CPE on either DSL or GPON network. The only downside is the router’s lack of USB ports for storage and resource sharing. But if you are looking to use it only for its internet functions, then that won’t be a major issue. ZyXEL doesn’t disregard security either. The C1100Z supports WPA2/WPA/WEP and features a hardware WPS button allowing customers to enjoy easy setup using a simple button. This makes it easy for you to set up a secure home wireless network. This modem-router combo can be the solution to your network issues. The device is compatible with TR-069 Remote Management, allowing for easy remote problem-solving from CenturyLink when you run into more common issues. You will be impressed with the devices fast setup process. The ZyXEL C1100Z is designed to automatically detect CenturyLink network setting configurations, making setup quite easy even for a novice. If you are a CenturyLink cable customer, but you aren't particularly happy with your Internet Wi-Fi speeds, you should consider looking for a new modem – one that’s able to meet the demands of your home. Getting a new router will also free you from the $10 monthly fee CenturyLink charge for using their modems. I just set up a century link and they gave me a Zynex C3000z and I have a C2100T which you have listed above. How do i connect my 2100t and not have to use C3000z. Because Century link is charging me. when i plug everything in on the C2100 everything lights up green accept for the Internet symbol, its red. How do i fix this issue? A.Go to http://192.168.0.1 and select “Quick Set-up”. B. Enter your your PPP username and password. If you don’t know your PPP username and password, try resetting your modem to factory defaults by pressing the reset button for 10 seconds. After releasing the reset button, wait up to 5 minutes for the Internet light to turn ON. Then go through the CenturyLink Activation. I currently have Centurylink DSL, using ZyXEL C1100Z modem/router. I have had this modem about 5-6 years. 1. Is it recommended that a modem be replaced after a number of years of continued use, or is that just a waste of money? 2. I know that the modems recommended for Centurylink serve as routers as well. My question is, I am going to purchase the Orbi 3unit WiFi ‘blanket’ system therefore the Orbi unit will become my new ‘router’. Is there a modem/router unit you recommend from your list in this article for the Orbi set-up I am going to install? Should I stick with my current ZyXEL C1100Z unit, buy a new ZyXEL C1100Z or purchase a totally different model from your recommended list. I have a large home- 3 stories, 6, 700 sq ft. As you can well imagine, the WiFi coverage is extremely poor with only the basic modem, hence the need for an Orbi type of device. Since all the Centurylink modems are routers as well, I know that I will need to ‘by pass’ the router aspect of the modem when I set up the Orbi. Does this factor into a recommendation you would make for a modem for me? Should I keep my 6 year old modem? Any input from you would be greatly appreciated. I just move and am looking to get Centurylink. Previously had Cox for the last 18 years. Do you have an update for what you consider the best compatible modem out right now. I’m most interested in speed. 1. After 5-6 years I would be looking to get something a little newer with updated firmware and the latest security. 2. In contrast to the above, your current router may work just fine with the Orbi setup you mentioned. Personally, I would get everything set up with the old router and then you can gauge if it’s sufficient or not and go from there. That will save you some money initially until you know what you absolutely need. There seems to be confusion on the Technicolor C2100T vs. Actiontec C2000A review above. Which product are you recommending there? The Actiontec C2000A seems to be the one. Can you confirm? Critical should be dual bands and for some pair bonding to get most out of CenturyLink’s speed! We need to approach some of what other cable and even dsl already have. Hi Shane, I believe the NetGear NightHawk will work with CenturyLink…however, this has not been confirmed by either company as they do not seem to work together and it’s not on the list of ‘official supported products’. However, as far as I can tell the only thing that the Netgear can’t support is bonded DSL (2x synched DSL lines). I’ve had CenturyLink DSL for almost 2 years and a Samsung TV for a year. I’ve never been able to connect the TV to the internet through my wireless network. Recently I’ve had trouble staying connected to a few websites that involve filling out and submitting various forms (ERR_CONNECT_TIMED_OUT). My network consists of a Netgear DSL modem (DM200) set to “modem only” and a Linksys AC5400 Router (we have multiple wifi devices, a large home and outside work areas, hence the need for the coverage). 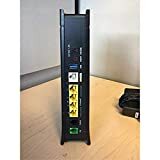 The only solution to the connectivity problem that a network consultant suggested is to use a CenturyLink modem/router. I’m wondering if my existing Linksys AC5400 will work with an Actiontec modem/router. If so, do you recommend the C2100T? Hi Richard, I would consider going with what the consultant said, given the size of your property and your requirements you will need somthing robust. These are the only ‘official’ approved modems that are compatible with CenturyLink, however, this is a small list from CenturyLink themselves…that’s not to say others won’t work. With that being said, personally, I would try the C2100T to see how it plays with your existing Linksys AC5400 – if you use Amazon then it’ll be easy to return should it not work out. Then you can go the slightly more expensive route as suggested above. The newer models are much better in my opinion. I’d go with the ZyEXL C1100Z and see how you get on.